New Jersey Gov. 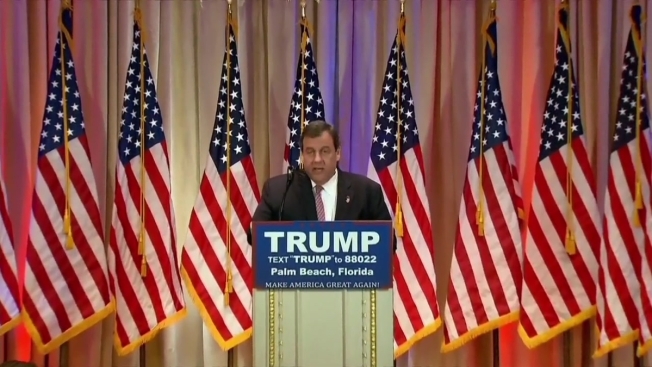 Chris Christie took to the podium to introduce Donald Trump after Trump's impressive showing on Super Tuesday. 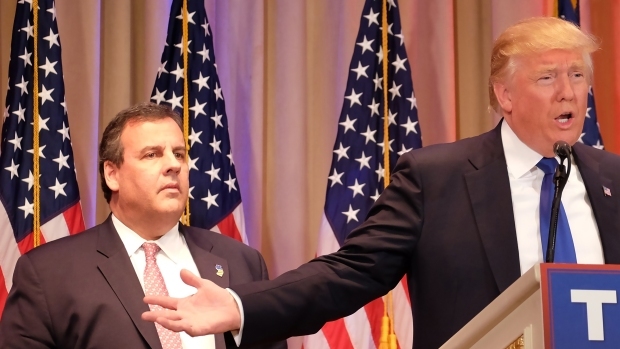 As Trump began his victory speech from Florida, Christie stepped back and stood behind him with a blank stare. An animated Trump took questions from reporters while Christie stood motionless in the background and did not maintain the role of "hype man." Soon, Christie was trending on Twitter. "I'm a unifier. I know people are going to find that a little hard to believe but believe me," Trump said to the press. "We have expanded the Republican party. When you look at what's happened at South Carolina and you see the kinds of numbers that we got, in terms of extra people coming in." What was Christie thinking while Trump spoke? One person on Twitter posted a clip with Simon and Garfunkel's "Sound of Silence" in the background. Here are more of the social media posts that opined on the occasion. .
Is Chris Christie about to have a stroke? In all seriousness, Chris Christie looks so strange. Like he's about to vomit.